Do you REALLY want "more women in science and engineering"? On April 10th, 2019, the first “photograph” of a black hole was made public. Minutes after that, another photograph has started to be used as a flag to inspire women worldwide… in what I fear is a limiting way. 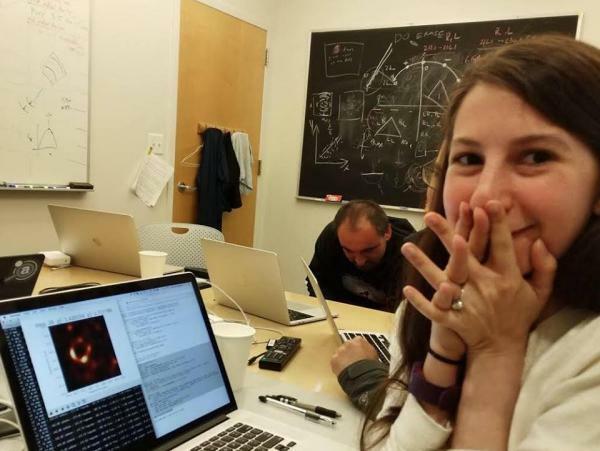 1: Starting from when she was a grad student, Dr. Kate Bouman led the development of one of the algorithms that turned telescope data into the historic photo released on April 10th. “I’m so excited that we finally get to share what we have been working on for the past year! The image shown today is the combination of images produced by multiple methods. No one algorithm or person made this image, it required the amazing talent of a team of scientists from around the globe and years of hard work to develop the instrument, data processing, imaging methods, and analysis techniques that were necessary to pull off this seemingly impossible feat. It has been truly an honor, and I am so lucky to have had the opportunity to work with you all. Dr. Bouman also told CNN that “No one of us could’ve done it alone… It came together because of lots of different people from many different backgrounds.”. To summarize, Dr. Bouman lead one essential part of a groundbreaking scientific project, and now is (rightly!) extremely happy and proud of her own job and of being part of a great team. No questions here. More female scientists and engineers? Is that all? “Emphasis” on her career and her contribution to the EHT project (which is not her fault, see above!) is no surprise at all: both individuals and media want to simplify. I am sure that there still are less (probably much less) women in STEM careers than there should be, because too many girls are still being told the crap that “STEM is for boys”. This has to end. « In 2016, Brexit also was a failure of Open Data. Will this happen again?